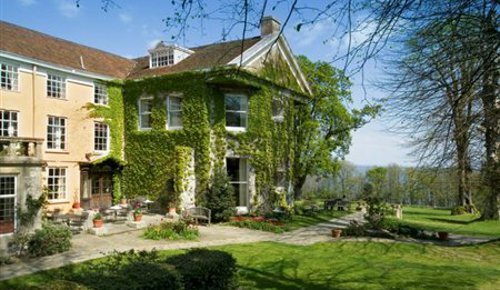 Compare and choose from our collection of B&Bs and boutique hotels on the Isle of Wight. In all cases, you will have a comfy bed, breakfast will be prepared for you, and you will be given advice on where to visit on an island designated as an Area of Outstanding Natural Beauty. 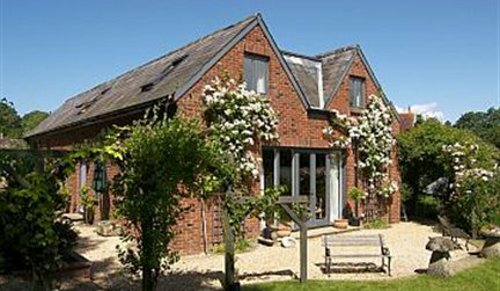 Our accommodation is an affordable and often more characterful alternative to staying in a larger hotel on the Isle of Wight. 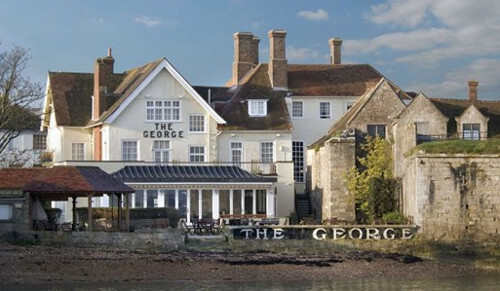 Use the form above to check availability and prices across our entire selection of Isle of Wight accommodation. The island has a rich history, including a brief status as an independent kingdom in the 15th century. 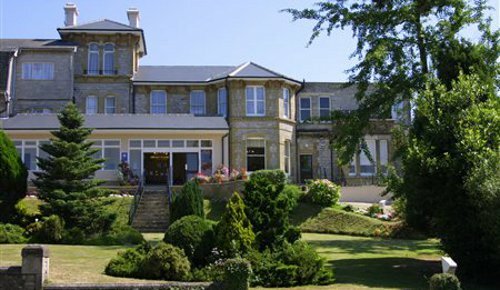 It was home to the poet Alfred Lord Tennyson, and Queen Victoria built her much loved summer residence and final home Osborne House at East Cowes. The Island's maritime and industrial history encompasses boat building, sail making, the manufacture of flying boats, the world's first hovercraft and the testing and development of Britain's space rockets. It is home to the Isle of Wight International Jazz Festival, Bestival and the recently revived Isle of Wight Festival, which, in 1970, was one of the largest rock music events ever held. 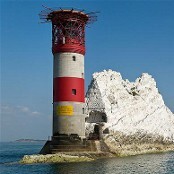 The Isle of Wight's most famous landmarks are the Needles. 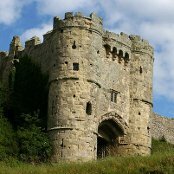 You can see where Charles I was kept in Carisbrooke Castle and visit the Shipwreck Centre and Martime Museum. Also you can visit the Underwater Archaeology Centre and the Blackgang Cine and Robin Hill adventure parks. The isle is small enough that you can also walk round it on many trails as well as sit on its beaches. Shanklin Chine - Enjoy the unique tranquillity of Shanklin Chine, the Isle of Wight’s oldest tourist attraction. The winding woodland, with its steep sides is a magical place for rare plants, wildlife and enchanting waterfalls. National Express offers a range of services, including travel around the UK, to and from UK airports and to Europe and Ireland. Wightbus are the council run buses around the Isle. To reach the ports you must either use the M27 to reach Southampton, Portsmouth or the A337 to reach Lymington pier. The journey from London will take 2 and a half hours. In order to connect with one of the three ferry operators to the Island, you will need to select one of the following mainland stations as your destination: Portsmouth Harbour, Southampton Central, Lymington Pier. There are three service to cross the channel, Hover Travel for passengers, Red Funnel, which runs two routes- passenger only and vehicle ferrys, and WightLink which runs three routes. The Isle of Wight is rich in historical and archaeological sites. These range from prehistoric fossil beds which include dinosaur remains, to dwellings and artefacts of the Bronze Age, Iron Age, Roman period and beyond. In the year 534 Cerdic with his son Cynric invaded and conquered the island and states that the Island was given to Cerdic's nephews, who were Jutes-Stuf and Wihtgar. The Anglo Saxon Chronicle tells how Wiht-land suffered particularly from Viking predations. Alfred the Great's navy defeated the Danes in 871 after they had "ravaged Devon and the Isle of Wight". During the second wave of Viking attacks in the reign of Ethelred the Unready (975-1014) the Isle of Wight was taken over by the Danes as a base to harry Southern England, referred to as their "frith-stool". The Island did not come under full control of the Crown until it was sold by the dying last Norman Lord, Lady Isabella de Fortibus, to Edward I in 1293. Queen Victoria made the Isle of Wight her home for many years, and as a result it become a major holiday resort for members of European royalty. During her reign in 1897 the World's first radio station was set up by Marconi at the Needles battery at the western tip of the Island. The famous boat building firm of J. Samuel White was established on the Island in 1802. Other noteworthy marine manufacturers followed over the 19th and 20th centuries including Saunders-Roe, a key manufacturer of the Flying-boats and the world's first hovercraft.